Easy meal preparation is where I am at with summer school in full swing and running in a variety of directions with kids and their never ending list of activities. 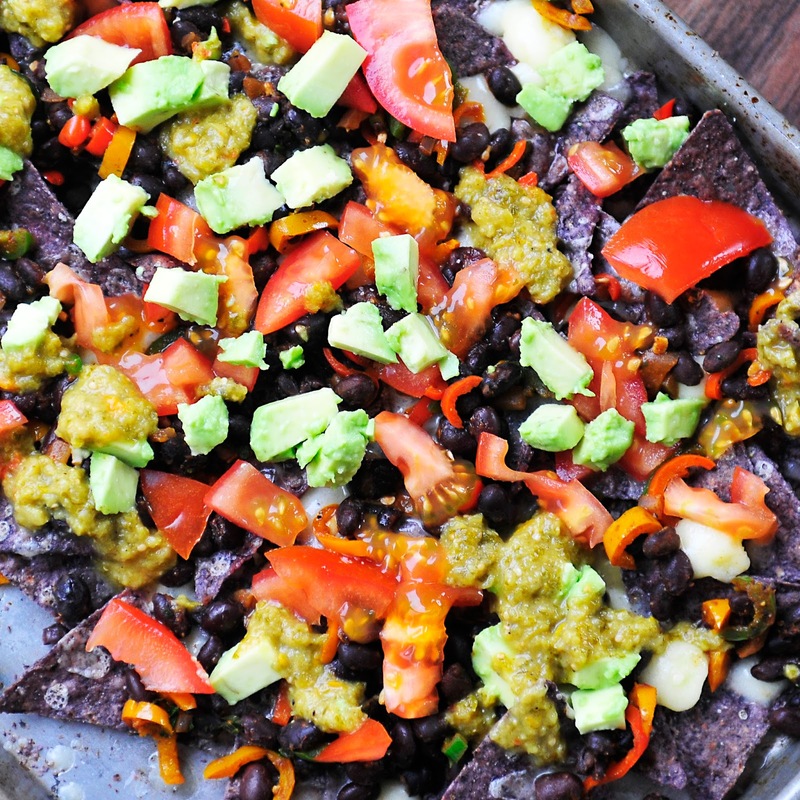 Nacho's are quickly becoming a staple on my menu of easy recipes. The key for me is finding new and creative ways to reinvent an oldie but goodie. I know I sound like a broken record but we have slowly been cutting back on our meat consumption and replacing our decision with more beans, rice and vegetables. Insert Charlie Brown and his wha wha wha blah blah blah voice. I had a helper for this shoot. Can you guess who? Finnley loves being my assistant. Especially when I put the food on the floor and she can easily sample the dishes. 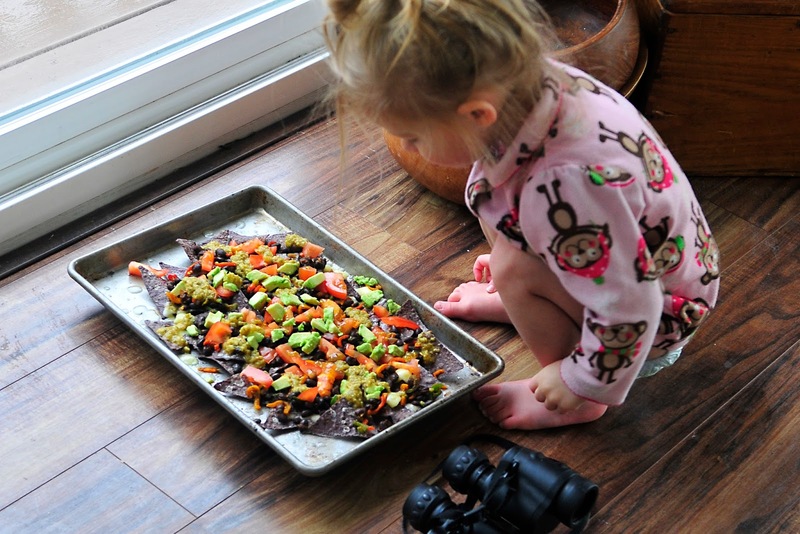 I can say that most of my recipes are kid tested and approved. 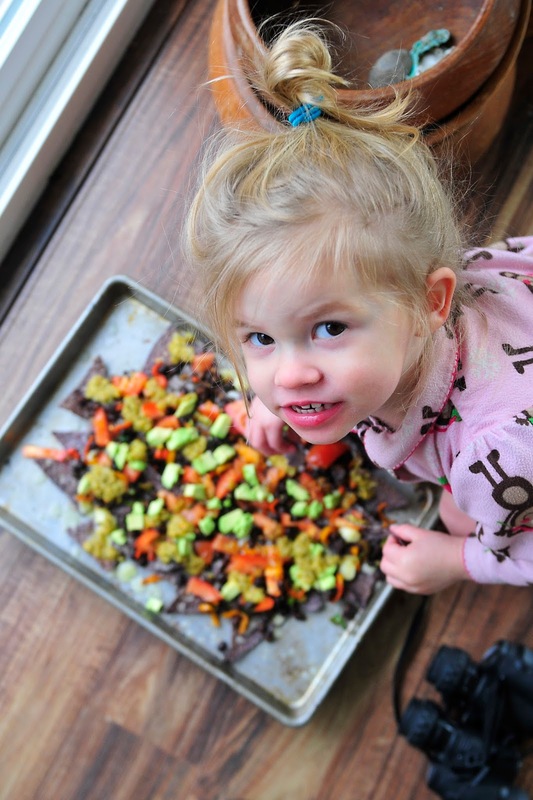 She has a healthy appetite and her palate is quite extensive for only being two. She tries everything and I appreciate that. Unlike my nine year old who only likes three things. Ramen, candy, and cereal. I will save that battle story for another post. Just know it keeps me up at night trying to figure out new and creative ways of sneaking healthy food into her diet. 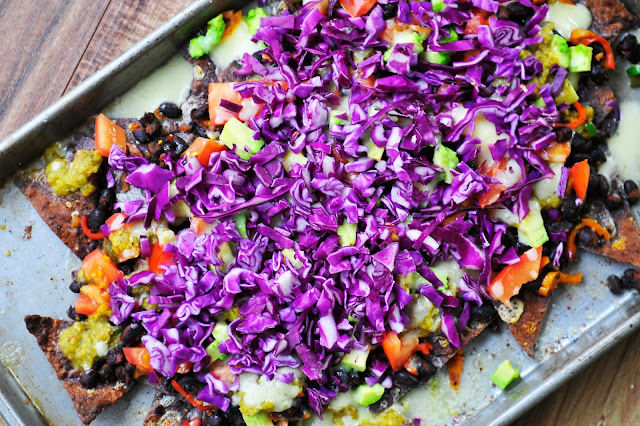 Cabbage on nacho's might sound crazy, and well, maybe it is. I think it's refreshing and adds so much color to an already bright dish. Try it--you may just like it! 1. 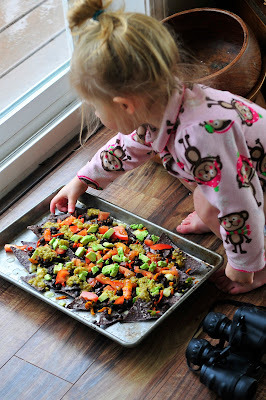 Spread chips all over a cookie sheet. Sprinkle cheese. Broil until melted. 2. Add the remaining ingredients. NOTE: You can warm the black beans up in the microwave so they are not cold from the can or fridge.